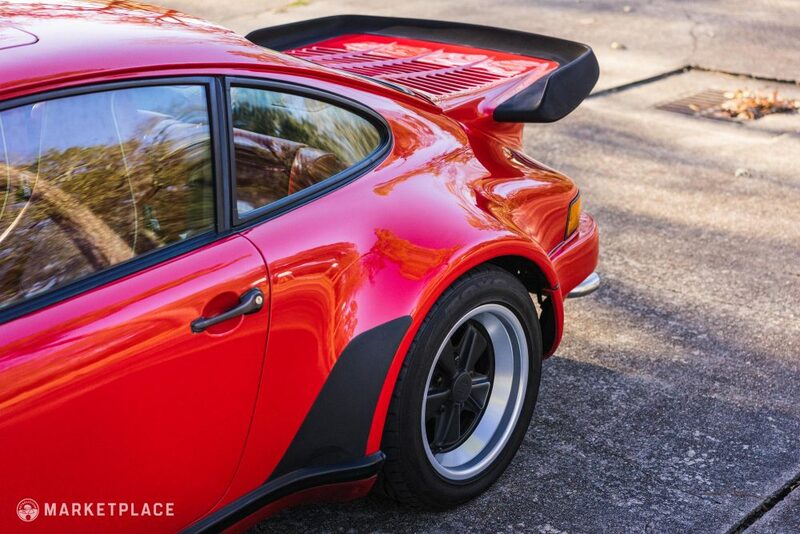 Based in Cologne, Germany, brothers Erwin and Manfred Kremer applied their love and knowledge of motorsports to establish a racing team and garage focused on preparing Porsches for competition. 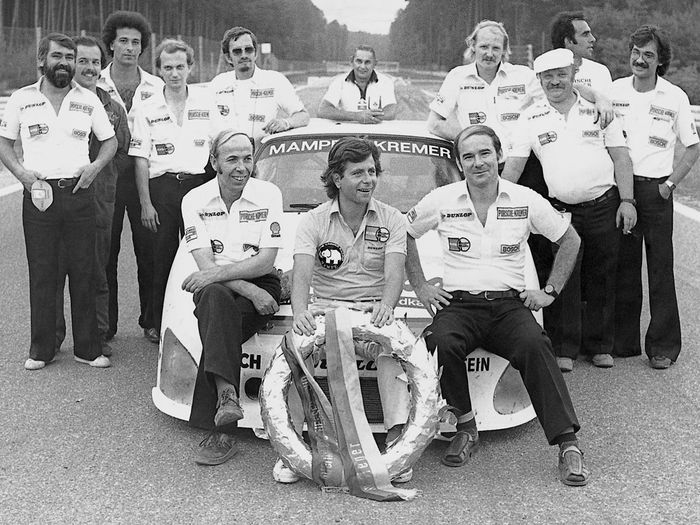 Founded in 1962, Kremer Racing would go on to play an integral role in Porsche’s triumphant motorsports history—both independently and, on occasion, as a factory-backed team. 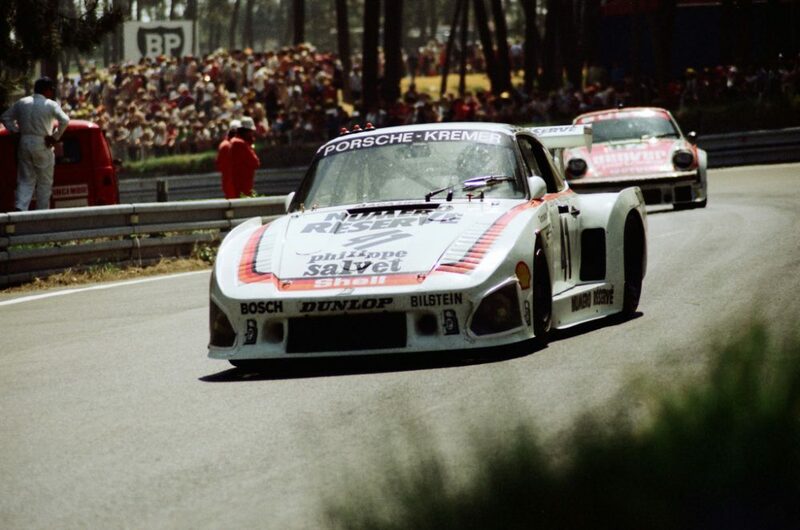 Initially the Kremer tune house spec’d 911s, 914-6 GTs, and 934s, but it was with the introduction of the legendary Porsche 935 in 1976 that they really established their competitiveness. 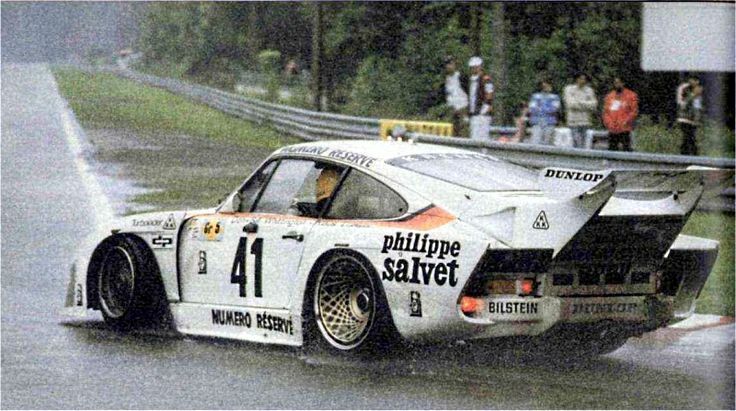 That year, the brothers tuned their first 935, distinguishing the model as the “K1.” By 1977, the K1 received its first major upgrade and became the K2. 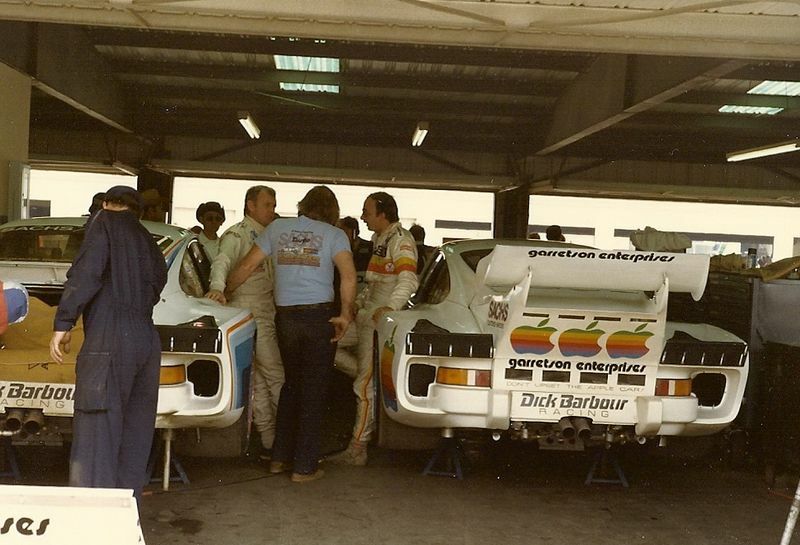 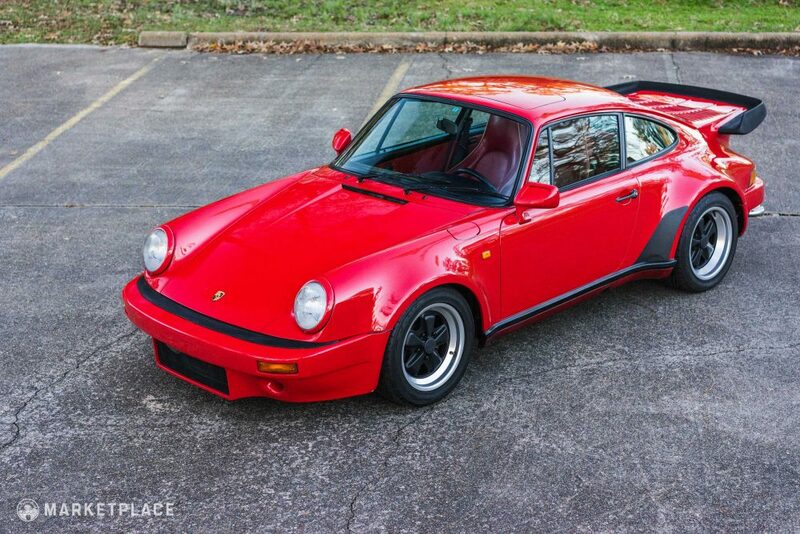 Later in 1979, the 935 K3 featured custom aero closely resembling the Porsche factory 936/78 Evolution racecar’s bodywork. 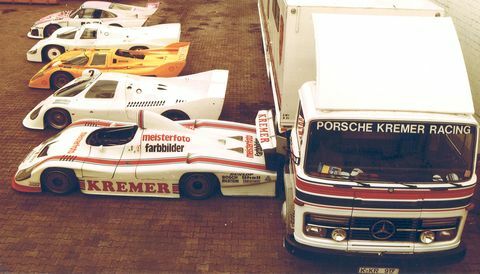 This state-of-the-art slippery shell coupled with a unique air/air intercooler system earned Kremer Racing a victory at the 1979 24 Hours of Le Mans, beating Porsche at its own game in its own cars. 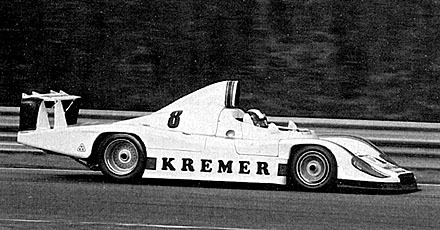 Kremer Racing continued to build a motorsports legacy with another noteworthy victory at the 1995 24 Hours of Daytona in the K8 Spyder. 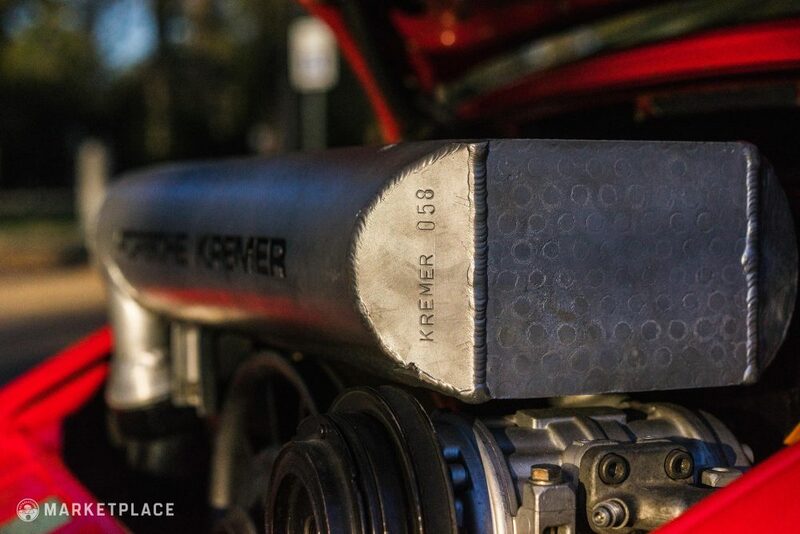 Although primarily focused on competition, Kremer did offer performance upgrades for street cars owned by racing fans that didn’t quite think their stock “Widow Makers” were fast enough. 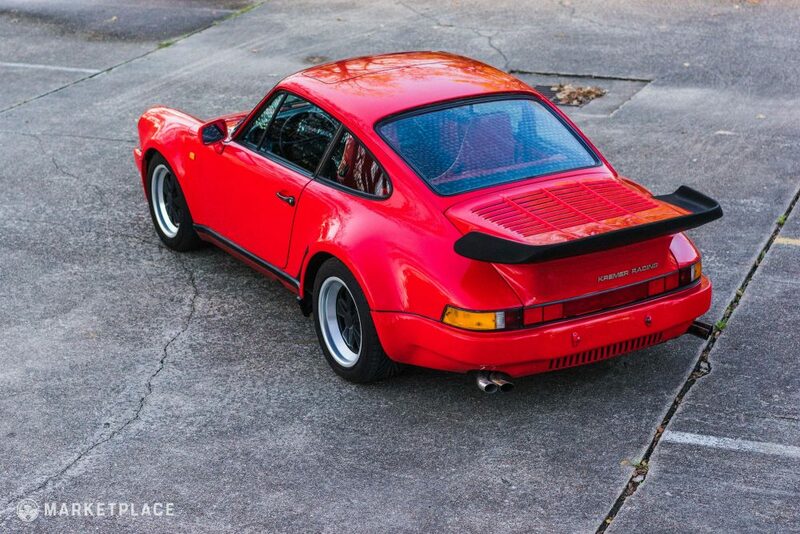 Kremer offered aero body panels and several performance upgrades—both were extensively applied to the 1986 Porsche 930 Turbo listed here. 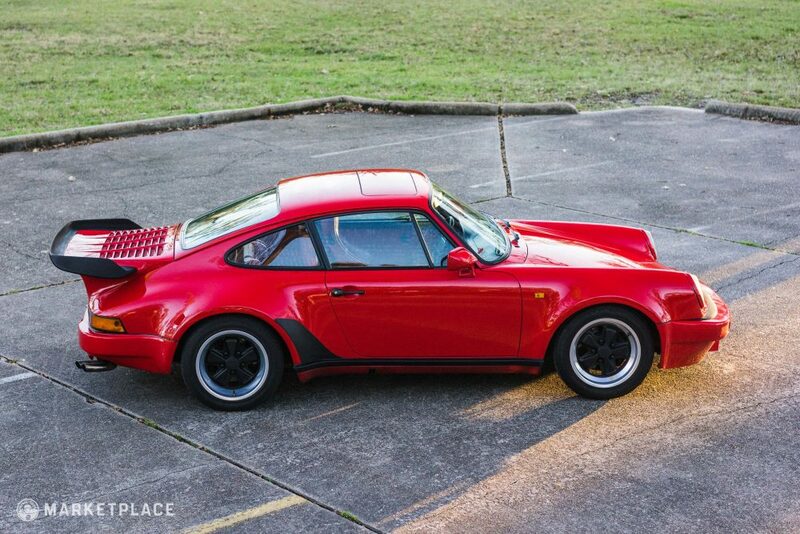 Despite the dramatic aesthetic and mechanical Kremer touches, the overall look is still very much a 930, albeit enhanced just enough to catch the eye of P-car fanatics. 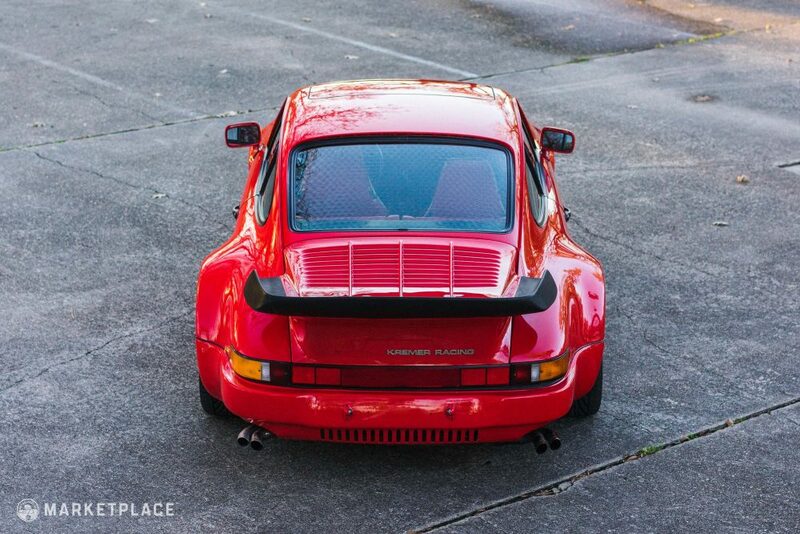 The body wears unique Kremer-inscribed aero mirrors, an RS-style front bumper, RUF-style ventilated rear bumper, and an enlarged Kremer decklid “Whale Tail” spoiler fitted to accommodate their larger intercooler. 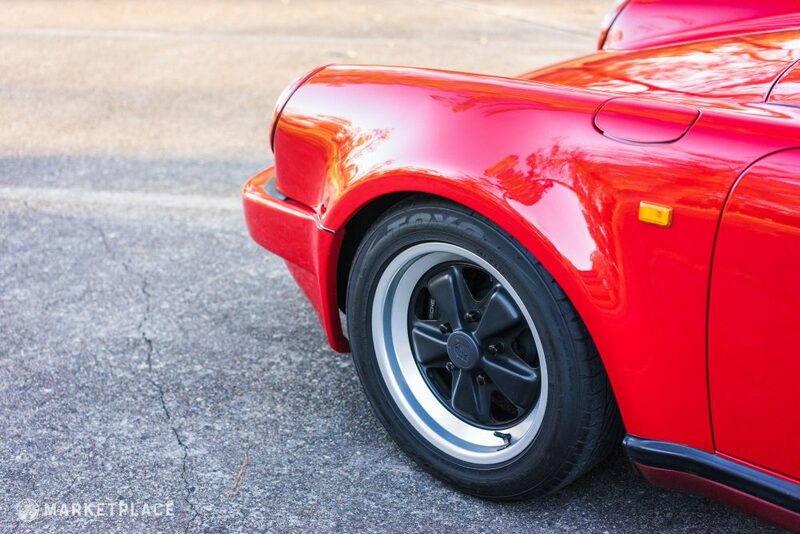 The wheels are standard staggered Fuchs Turbos finished with semi-polished lips, full black spokes, and center caps. 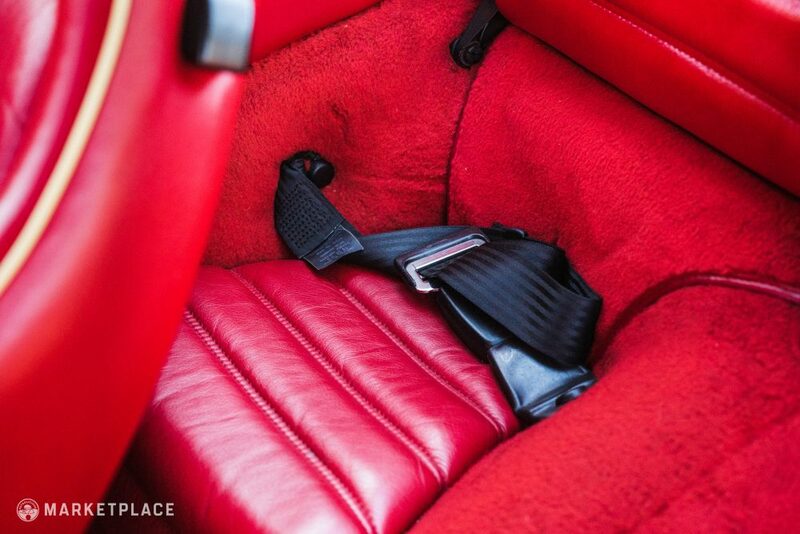 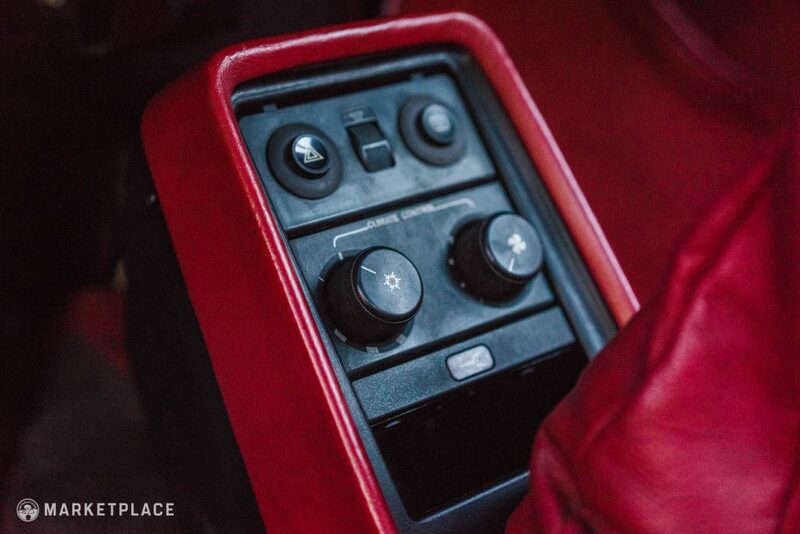 The interior is equally distinct with factory-optioned power sport seats in vibrant red leather with cream piping, matching red leather door panels, carpeting, and floor mats, and contrasting black dashboard and door trim. 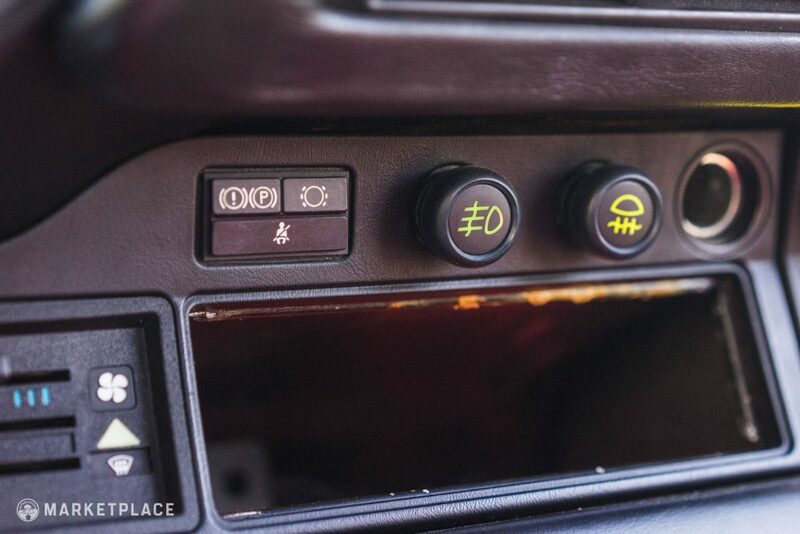 There’s also a Kremer Racing LED Ladedruck boost gauge, factory Blaupunkt radio with modern coaxial speakers, optioned power sunroof, power mirrors, and a Kremer boost adjuster for on-the-fly turbo management. 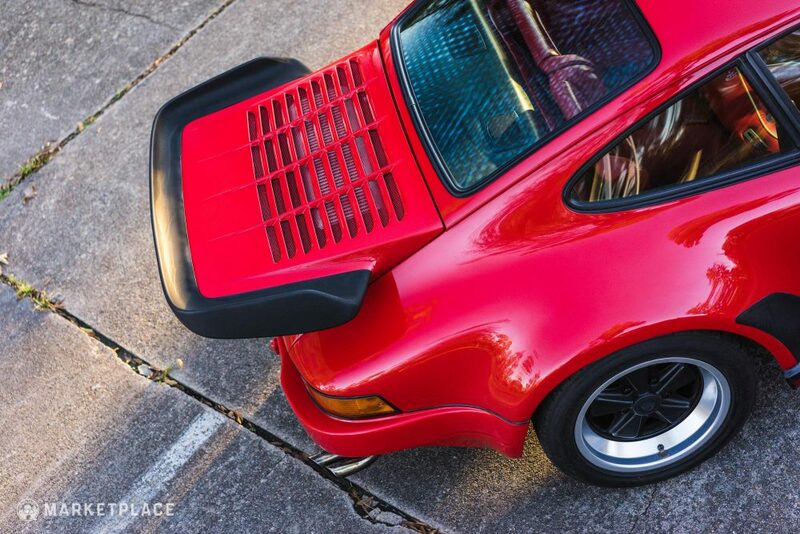 Under the enlarged rear decklid, the stock 3.3-liter flat-six has been treated with a Kremer 27 turbocharger, full-bay Kremer intercooler system, equal-length Kremer headers, and a quad-outlet Kremer stainless steel exhaust system in which the driver’s side outlet operates the wastegate. 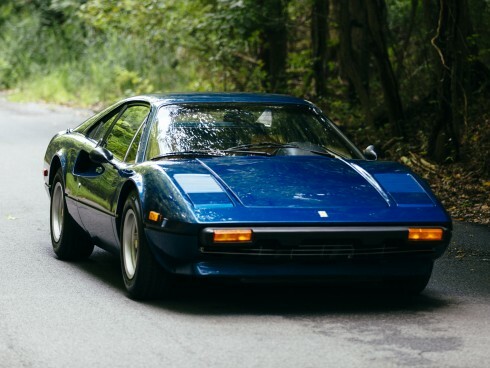 The original four-speed transmission is still intact, along with an optional and very desirable limited slip differential handling the engine’s mighty shove. 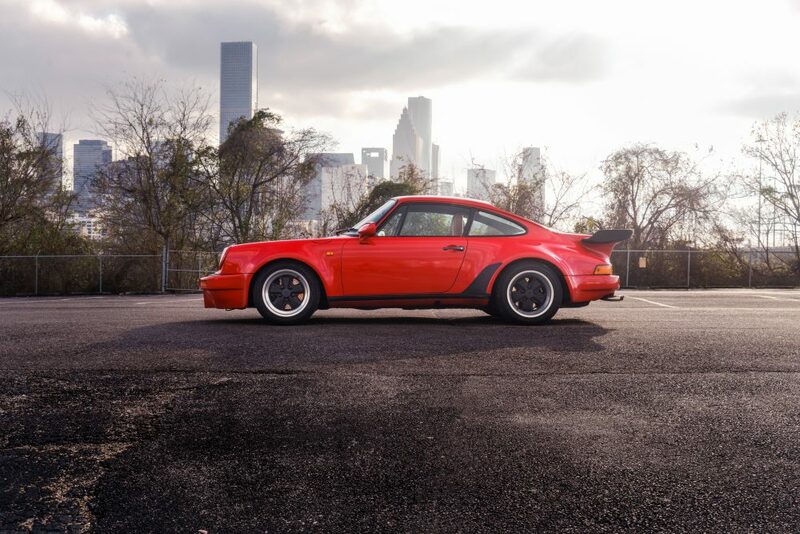 This Kremer Racing 930 Turbo is in tip-top condition throughout. 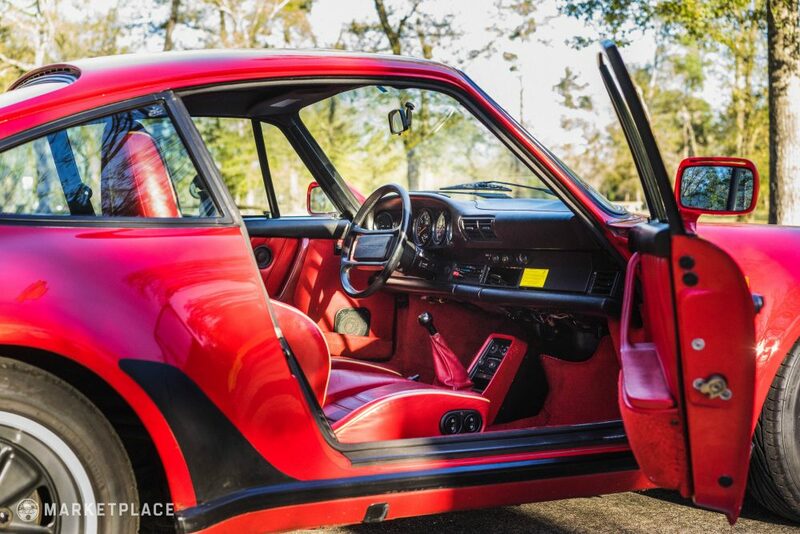 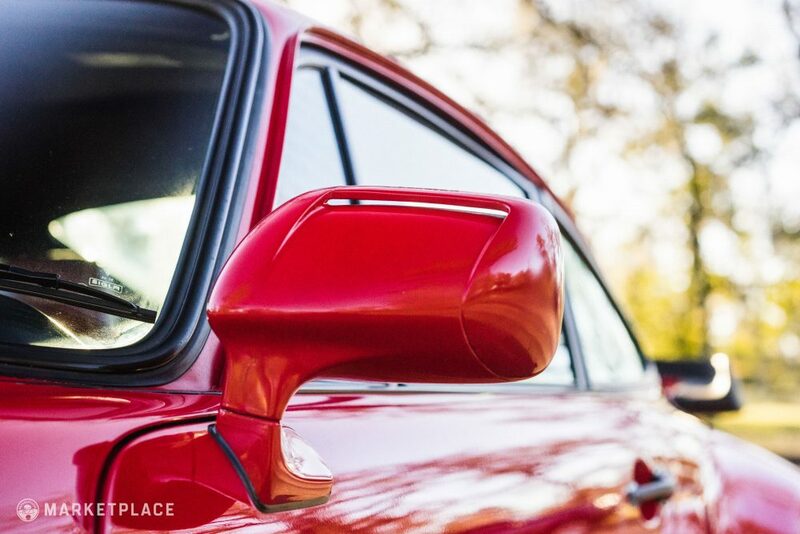 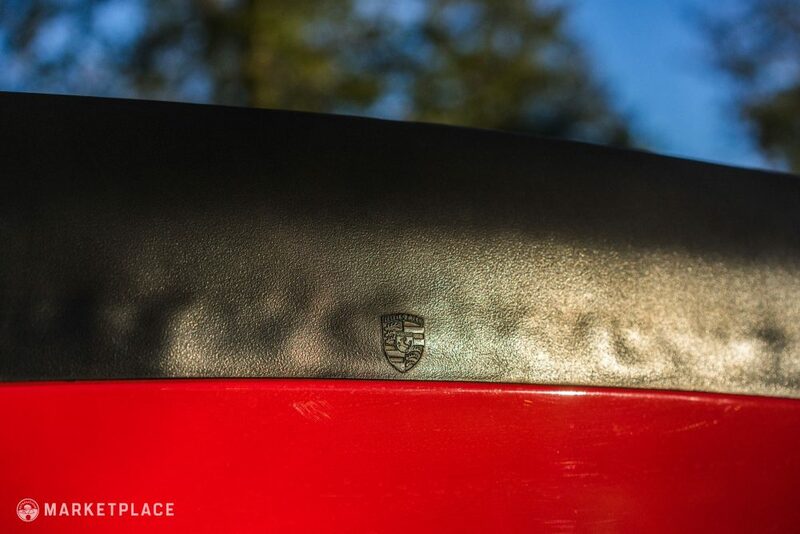 Despite its power and aesthetic enhancements, the car retains much of the original 930 driving character so beloved by enthusiasts. 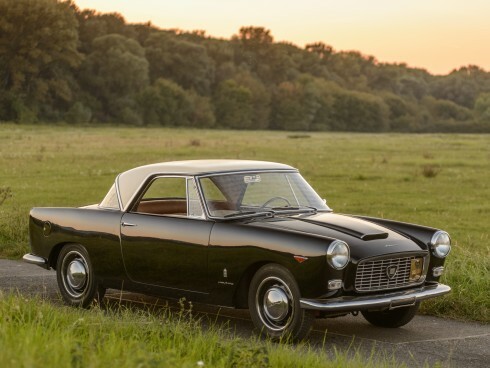 Now living in Texas, its current owner has spent the last two years continuing the previous Japanese caretakers’ fastidious attention to servicing. 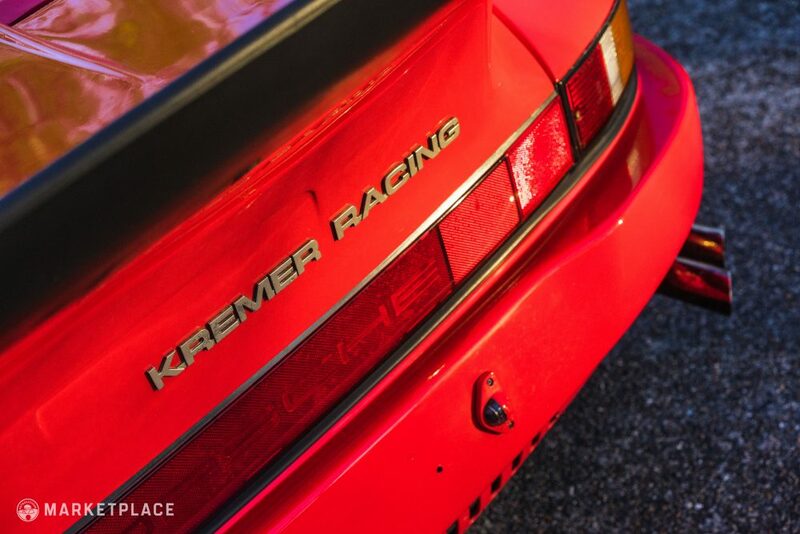 Body – The original body panels and Kremer Racing upgrades are all authentic, undamaged pieces with no corrosion, dents, or major imperfections. 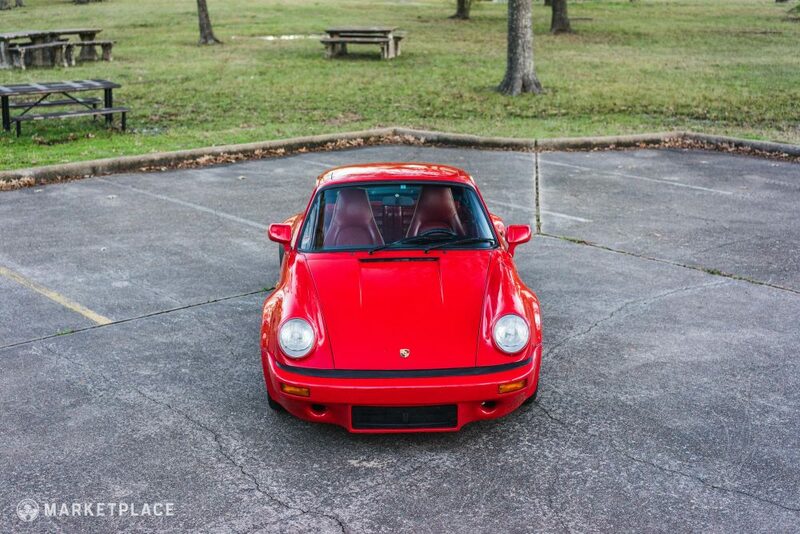 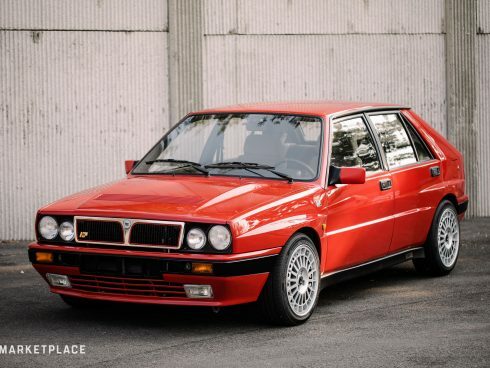 The seller notes the front bumper stays would benefit from a slight fit adjustment and that the exhaust outlets have built up a slight haze since the last polishing. 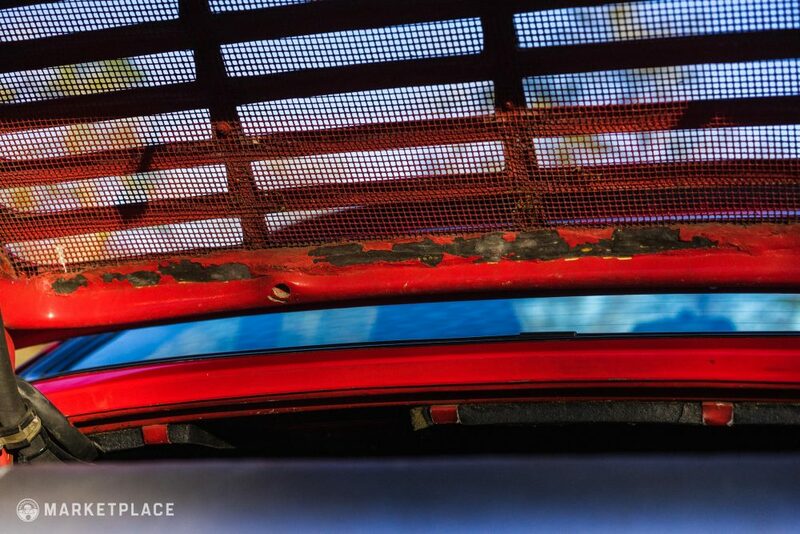 Underneath the decklid there is a small area of paint loss along the edge and the adhesive from the rubber lip has air pockets, all shown below. 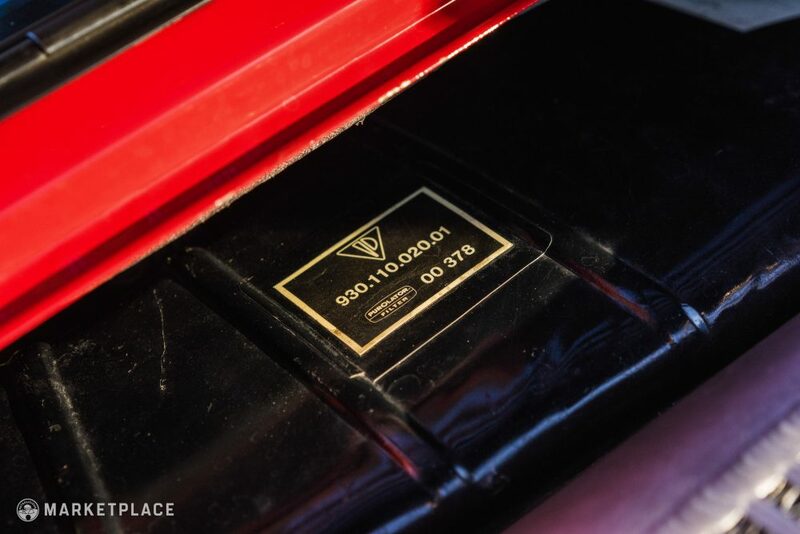 Paint – The factory applied non-metallic Guards Red paint shows only minor signs of wear, far less than expected after ~55k miles and 31 years of sporting use. 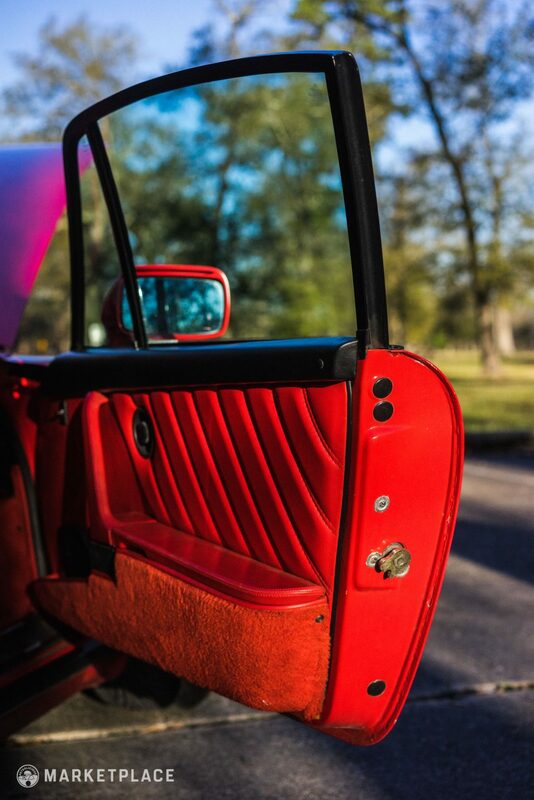 Trim & Glass – All glass is original and factory installed, while the trim, weather stripping, seals, and gaskets function well and exhibit no fading, peeling, or leaks. 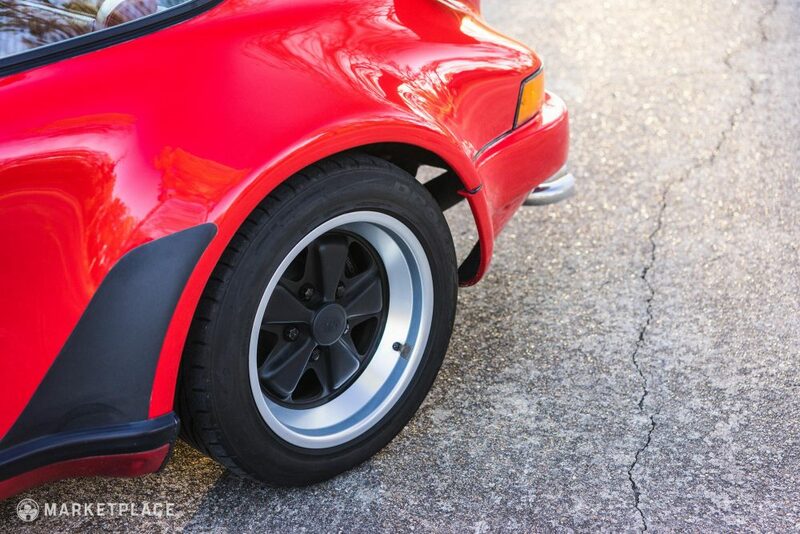 Wheels – The standard 930 Turbo-spec Fuchs wheels are in excellent condition with no curb rash or flaws, featuring pristine machined lips along with beautiful black center spokes and caps. 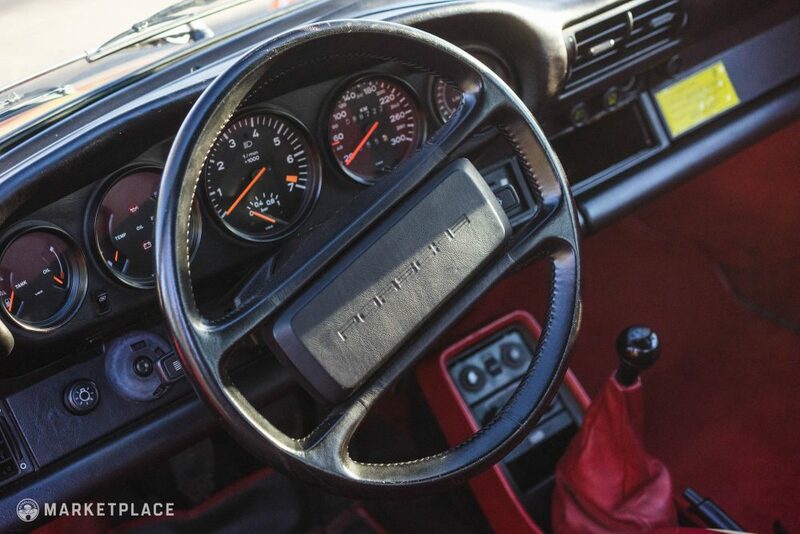 Steering Wheel – The factory four-spoke leather-wrapped wheel is complete with the PORSCHE horn insert and free of any scuffs, oily finish, or tears. 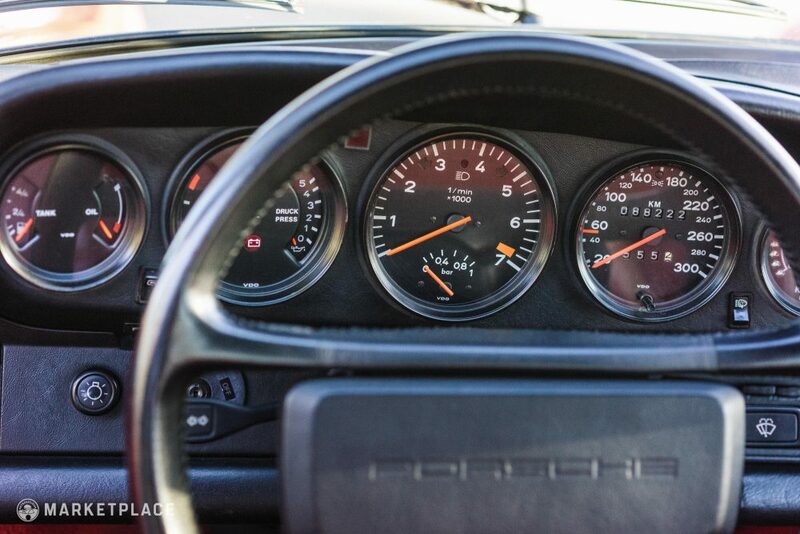 Dashboard & Instrumentation – The black leather-lined dashboard retains all of its equipment including HVAC controls, Blaupunkt radio, and original instrumentation in addition to a Kremer Racing LED Ladedruck boost gauge. 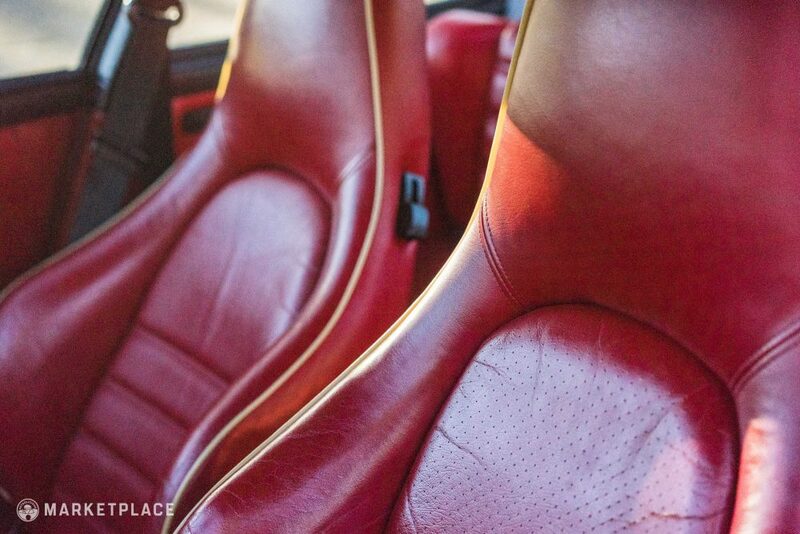 Seats, Trim, & Carpet – Factory-optioned power sport seats feature good bolstering and no tears in the vibrant leather upholstery. 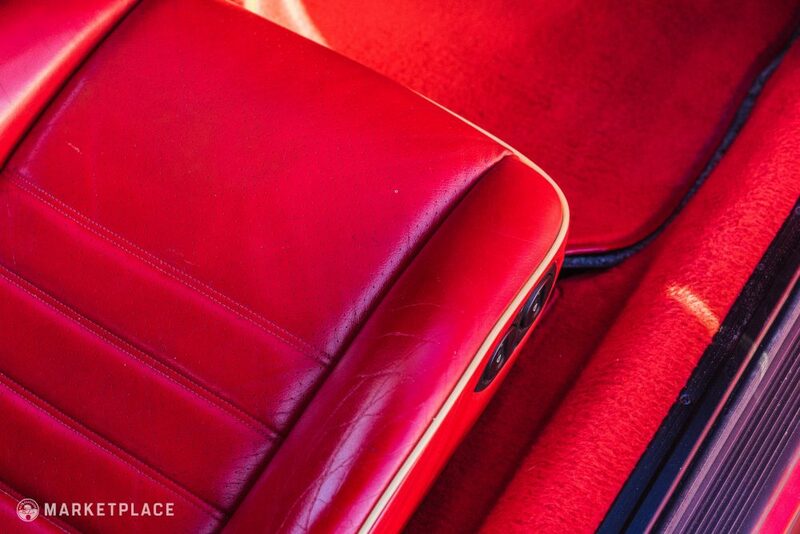 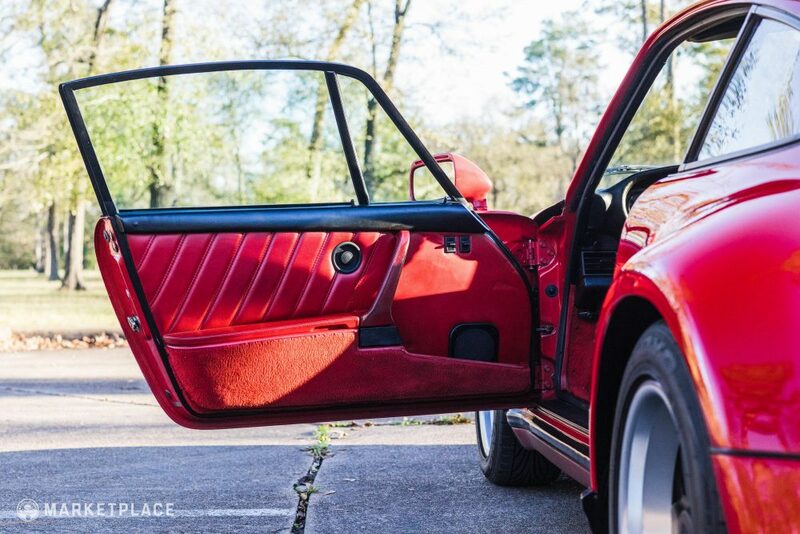 The matching red leather door panels are equally well-preserved along with clean and fade-free red carpeting and floor mats. 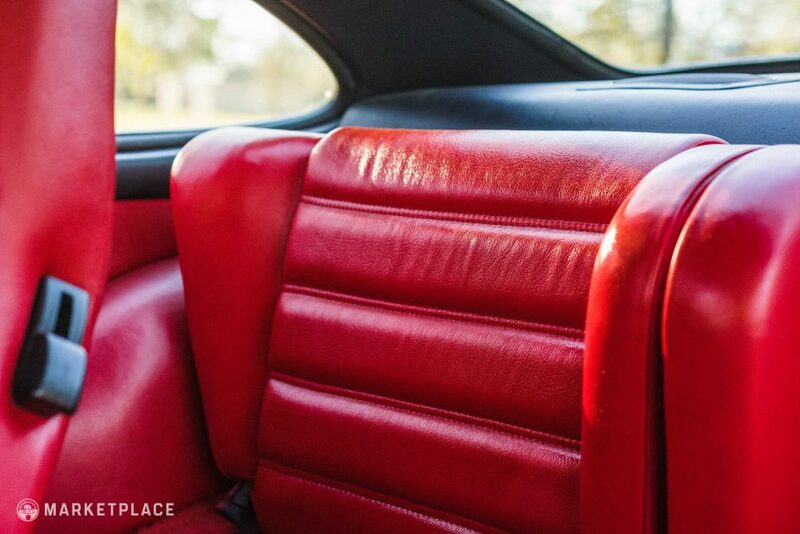 The taut headliner, including the sunroof cassette, is in great shape with no water stains or signs of discoloration. 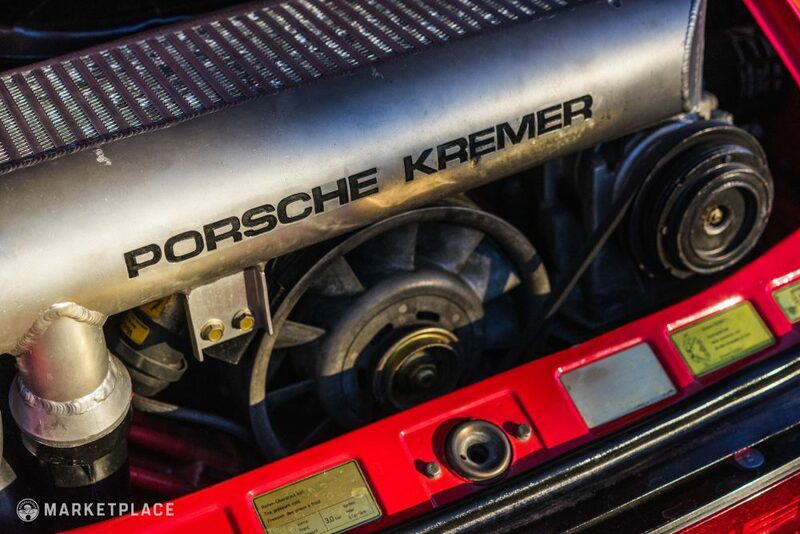 Engine – The original 3.3-liter flat-six was recently rebuilt and re-equipped with all of its in-period Kremer Racing upgrades. 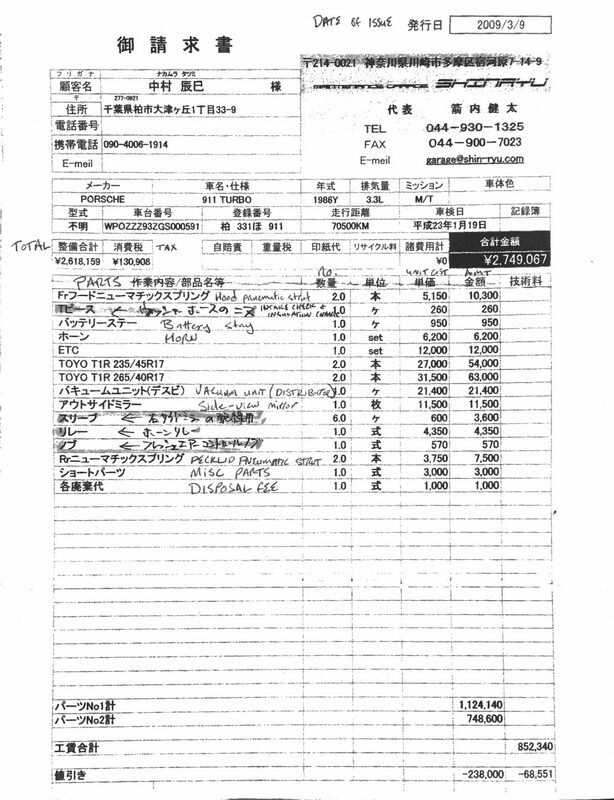 The build was completed in 2009 by Shinryu Maintenance Garage in Kawasaki City, Kanagawa Prefecture, Japan approximately 15,000 kilometers ago. 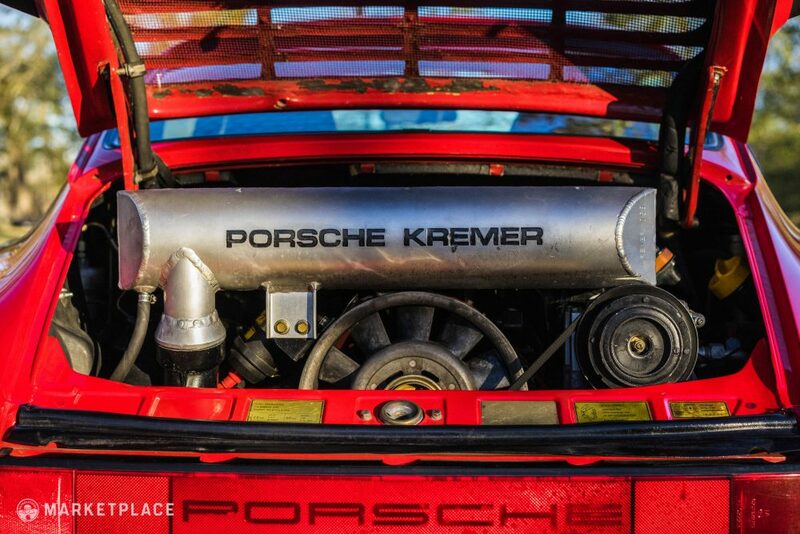 The beauty of the Kremer Racing package is the car’s ability to start, idle, and drive as reliably as an unmodified 930 while offering more responsive throttle, faster acceleration, and a more linear power band. 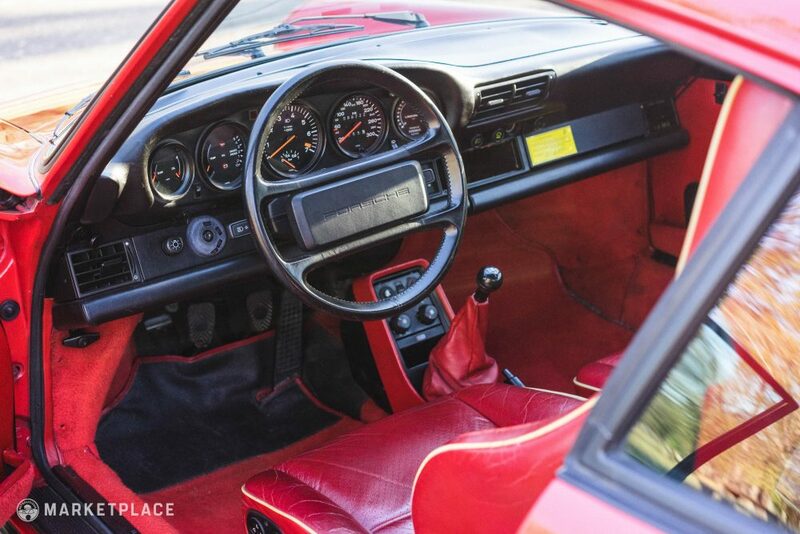 The Drive: The owner mentions that although the car is far more responsive than stock it still behaves and drives akin to an unmodified 930. 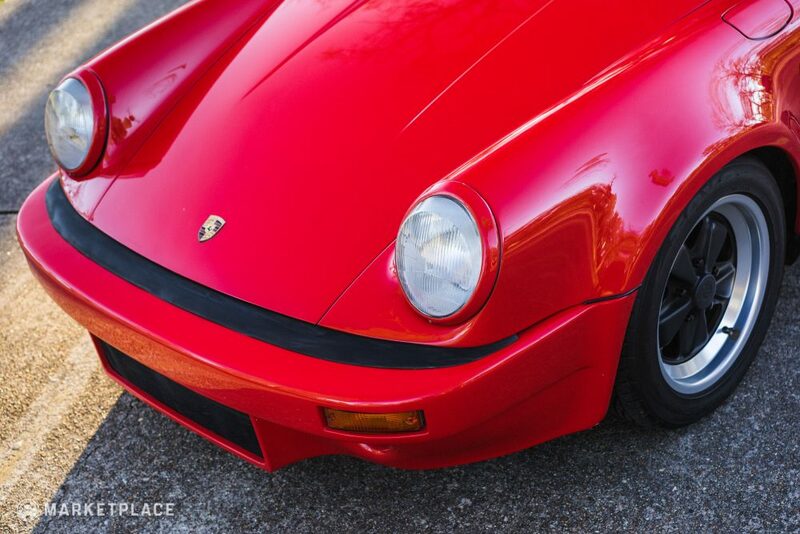 That said, its acceleration is more linear with additional grunt in comparison to the standard spec. 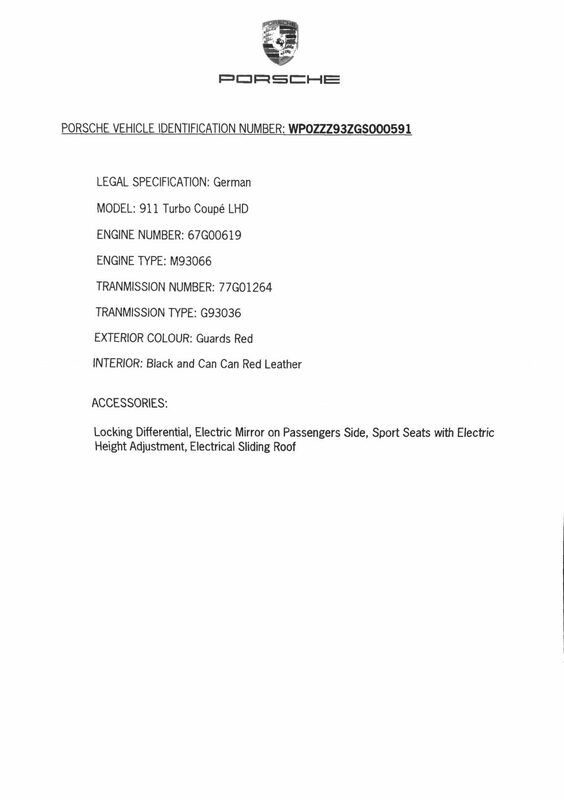 Transmission – The original four-speed manual transmission is intact and was professionally rebuilt in 2015 by Euro-Car Werk in Houston, Texas due to worn synchros. 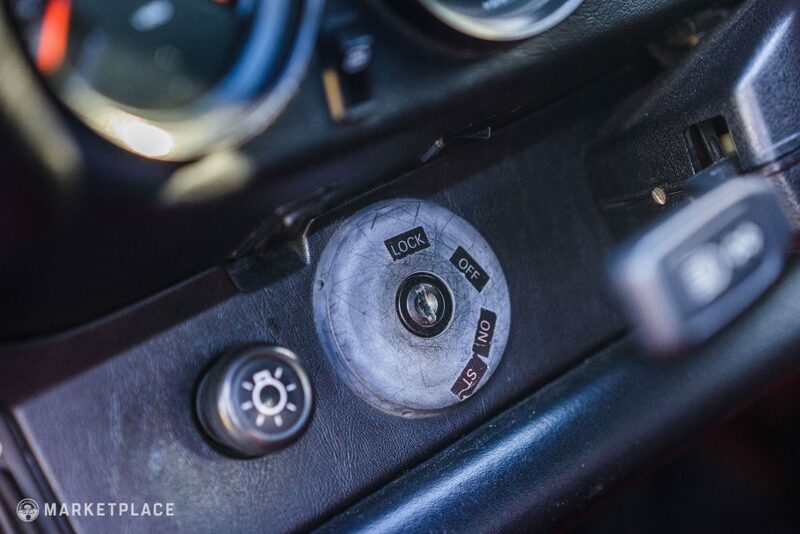 The Drive: The car shifts smoothly with no pop-out synchro issues. 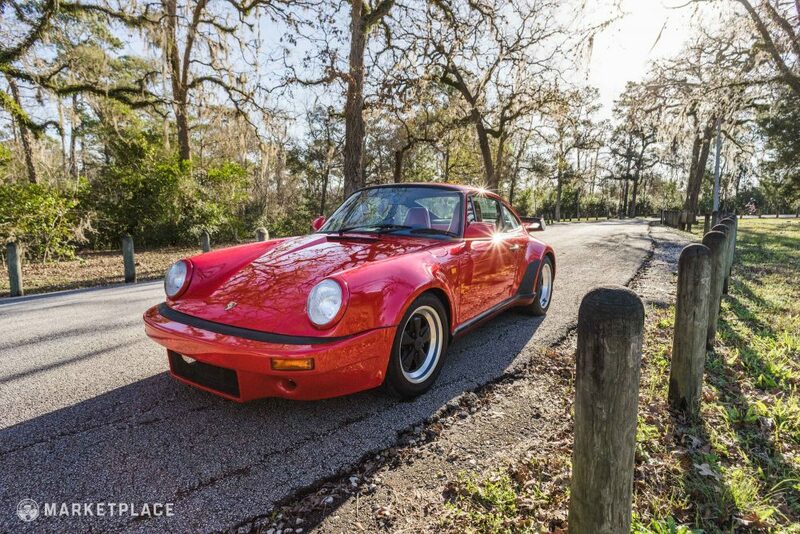 Handling – The suspension retains the standard 930 torsion bar setup so it still feels tight with responsive turn-in, exactly as an early Turbo should. 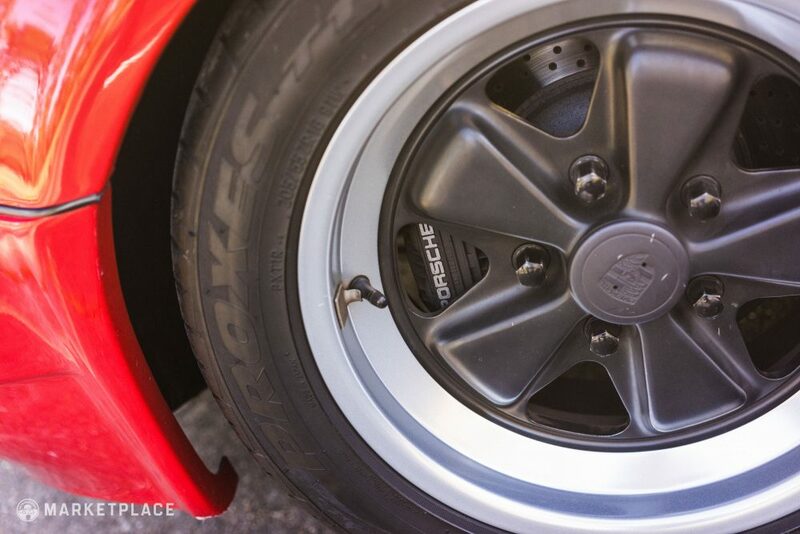 The Drive: Steering is nicely weighted with a relatively quick rack, wonderful turn-in response, and the standard 930 disc brakes offering poised and effective braking. 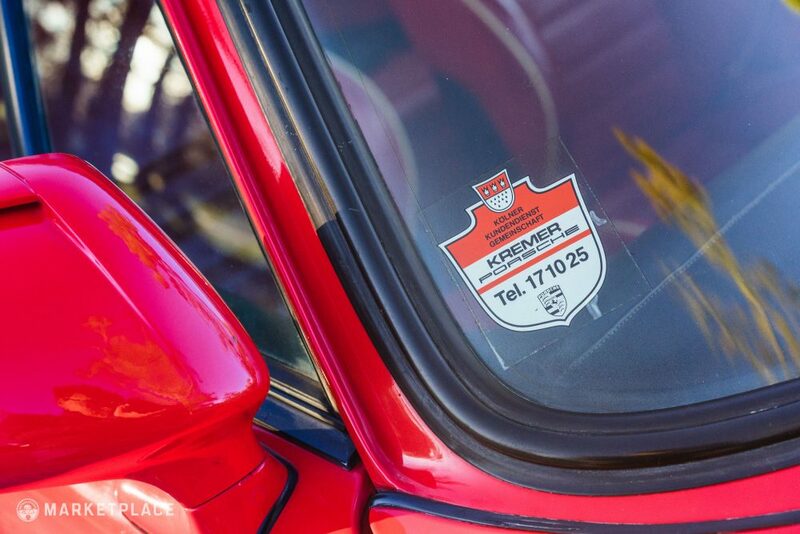 It goes without saying that this car was heavily modified in period by Kremer Racing and is therefore not in its original factory spec. 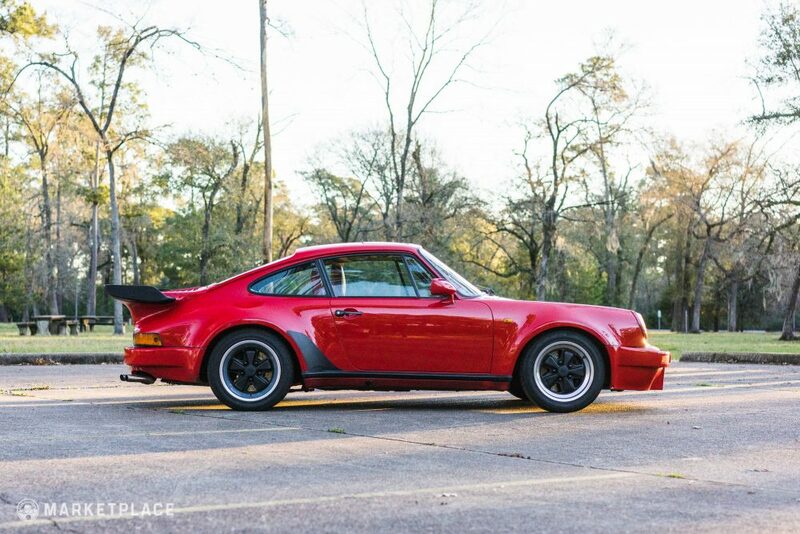 However, its originality as a Kremer Racing 930 variant is indisputable. 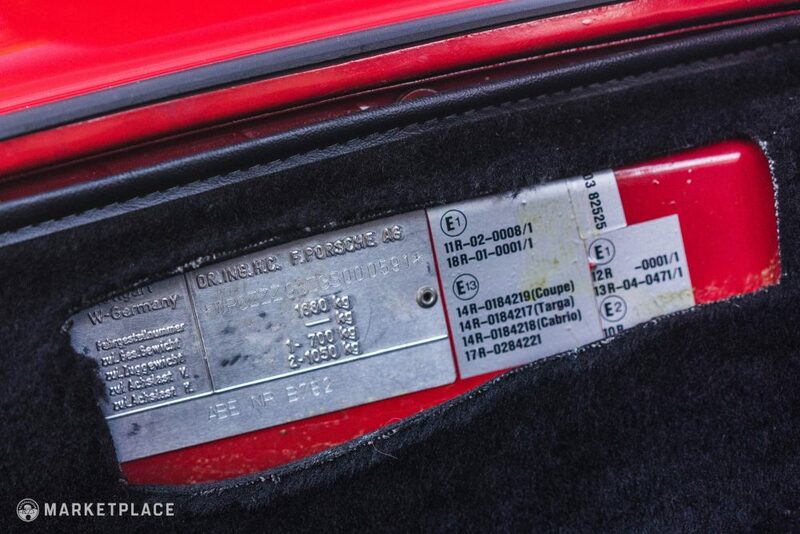 All of the Kremer equipment installed shortly after the car rolled off the assembly line is accounted for and authentic. 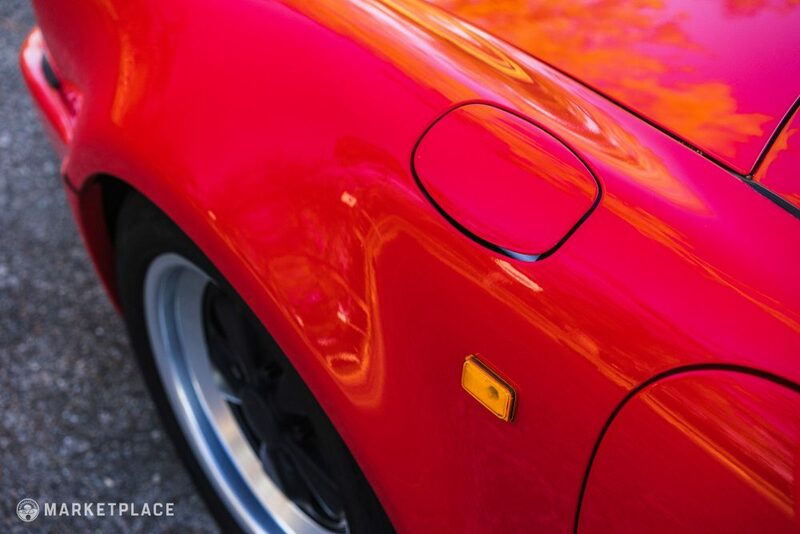 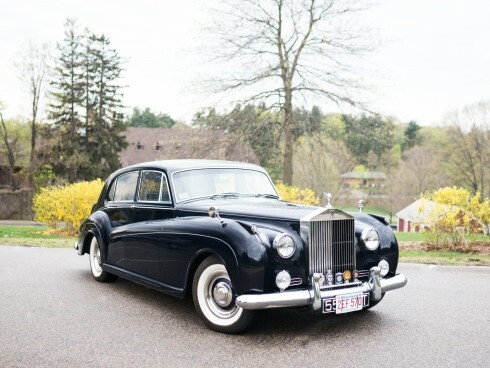 The major body panels, glass, chassis, brakes, wheels, and interior are original to the car and present exceptionally well. 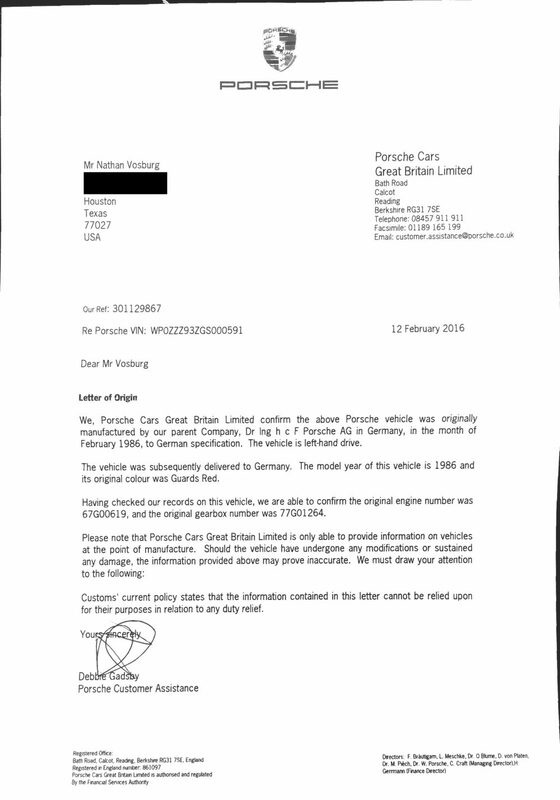 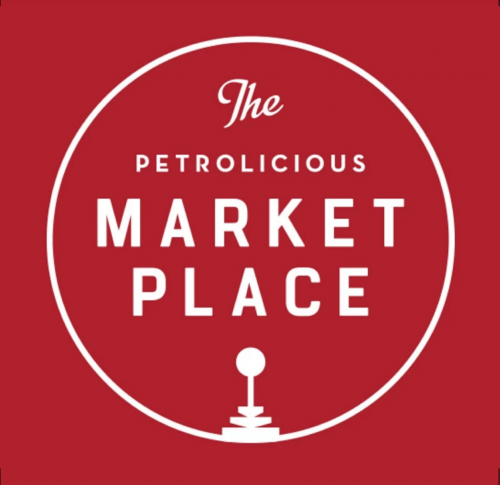 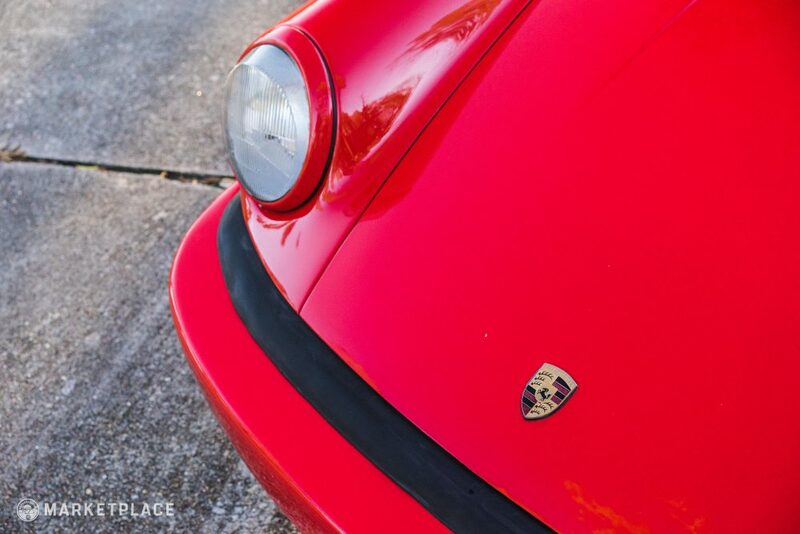 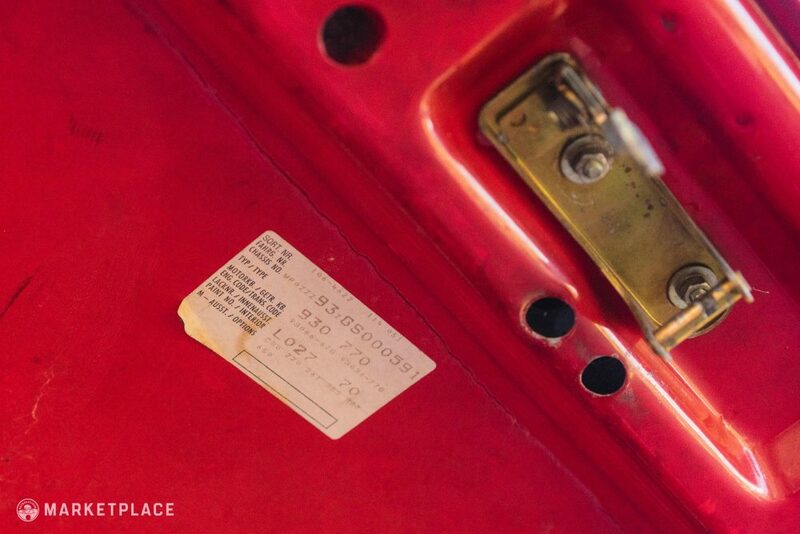 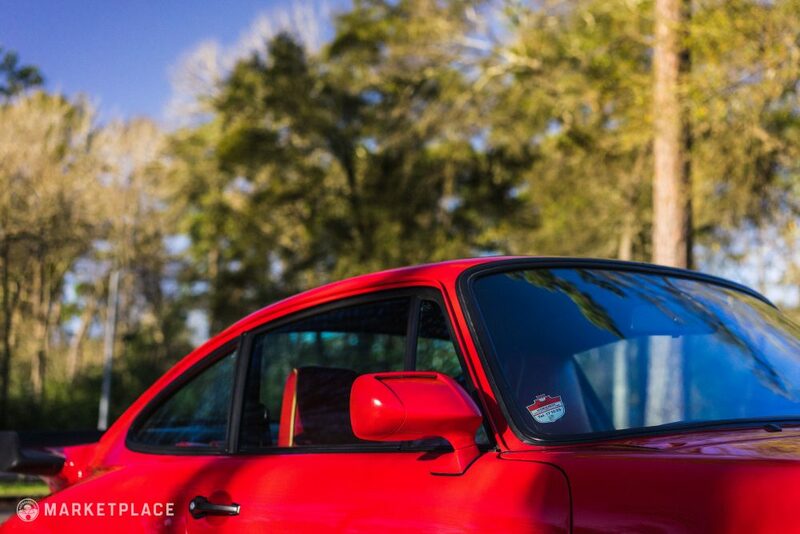 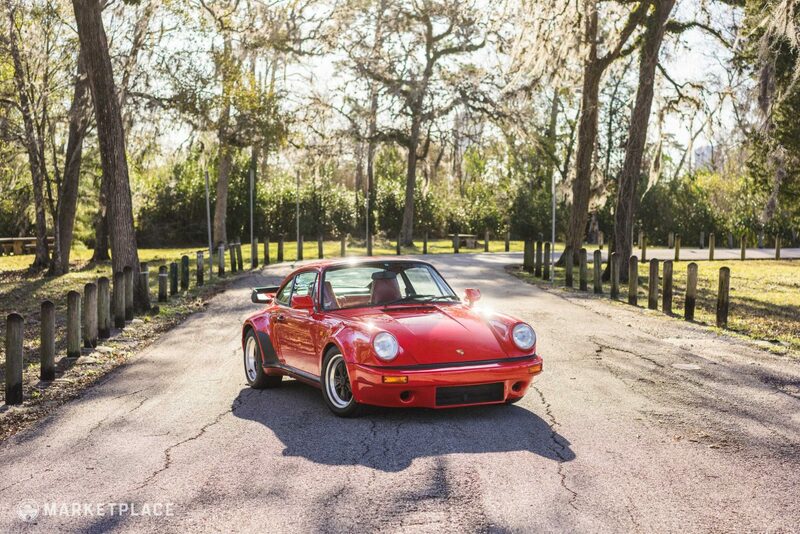 Included in the sale is the original window sticker, owner’s manuals, maintenance invoices and service records, Porsche Certificate of Authenticity, and thoroughly-documented rebuild receipts for the engine and transmission. 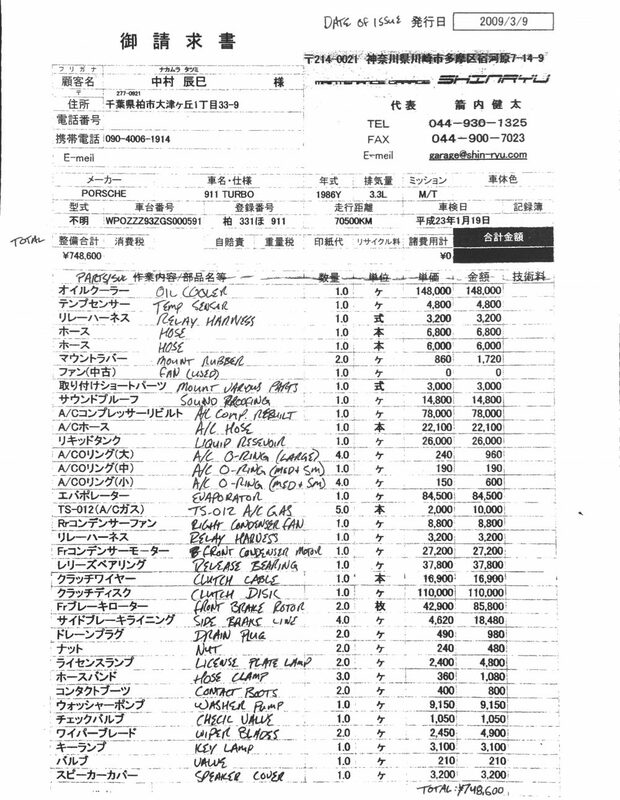 The factory spare and toolset are also present and correct. 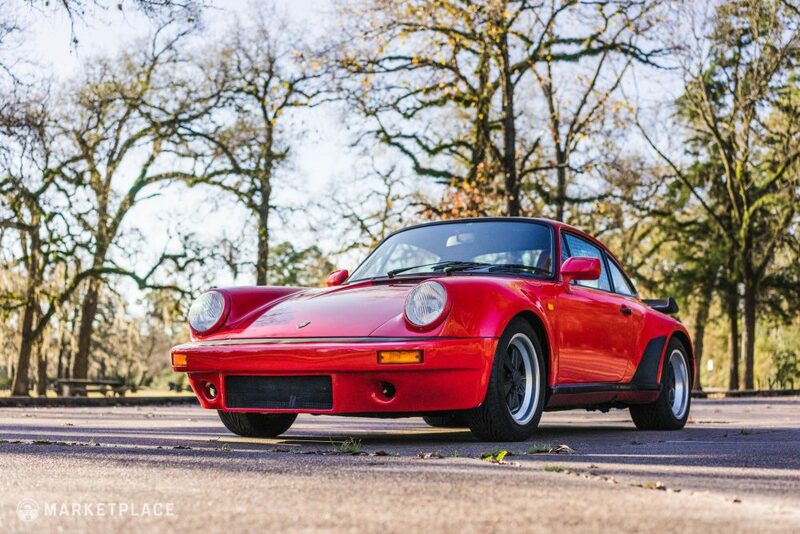 Extremely Rare: There were few Porsche street cars fully converted to Kremer specification, so sourcing one these days is a very special opportunity indeed. 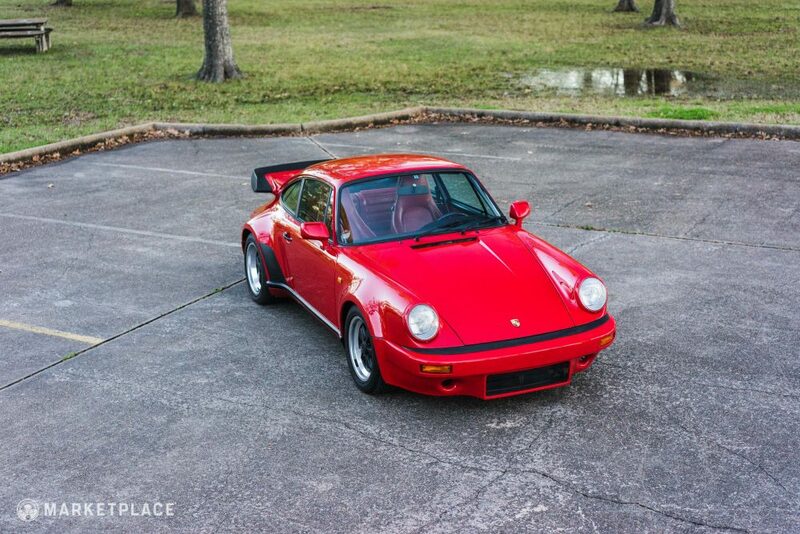 Ticks All The Right Boxes: Wearing clean traditional Porsche colors, fully equipped with all of the appropriate Kremer Racing gear, and in incredible mechanical and aesthetic condition throughout, this turbocharged classic checks all the right boxes for a desirable and fun machine that will almost certainly increase in value over the coming years. 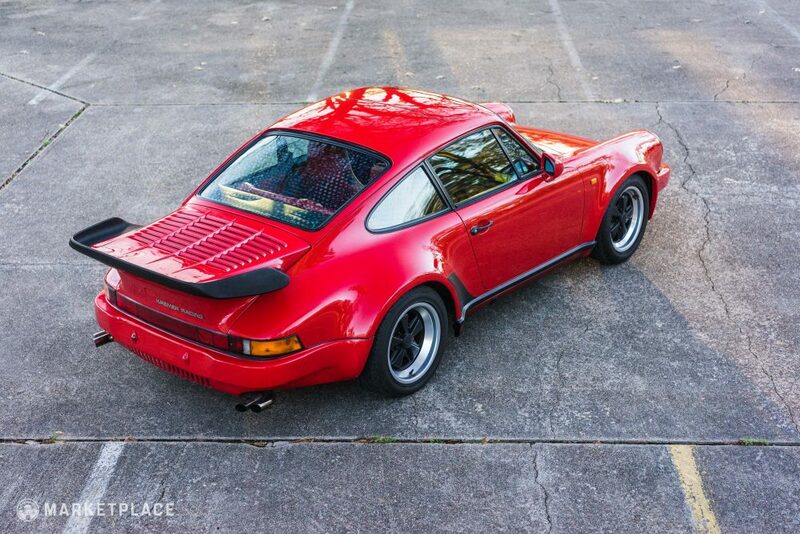 Ultimate ‘Restomod’: This car has been modified from one of the premiere names synonymous with Porsche. 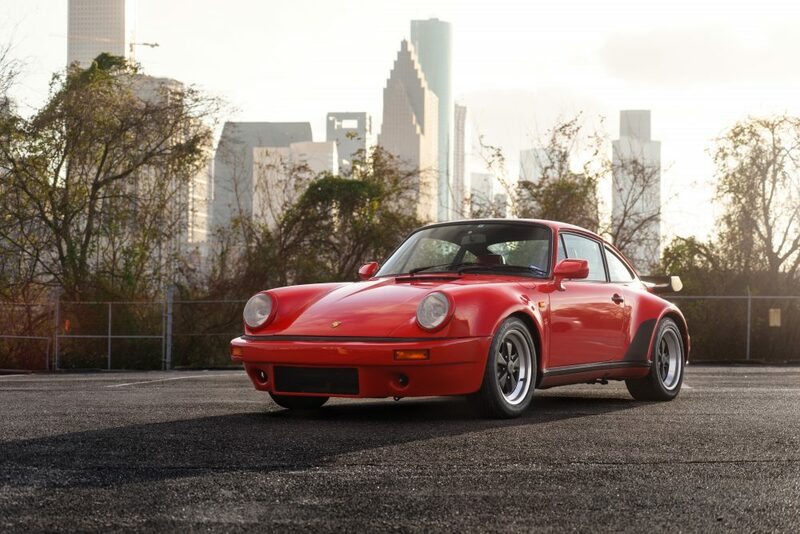 With so many individuals putting their touches on 930s, this Kremer edition is a chance to own a very compelling and period piece of Porsche history. 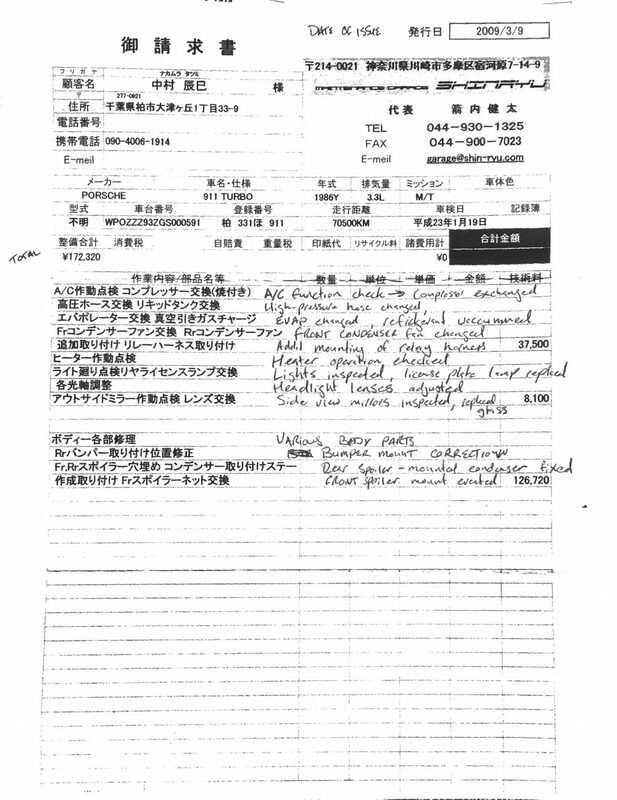 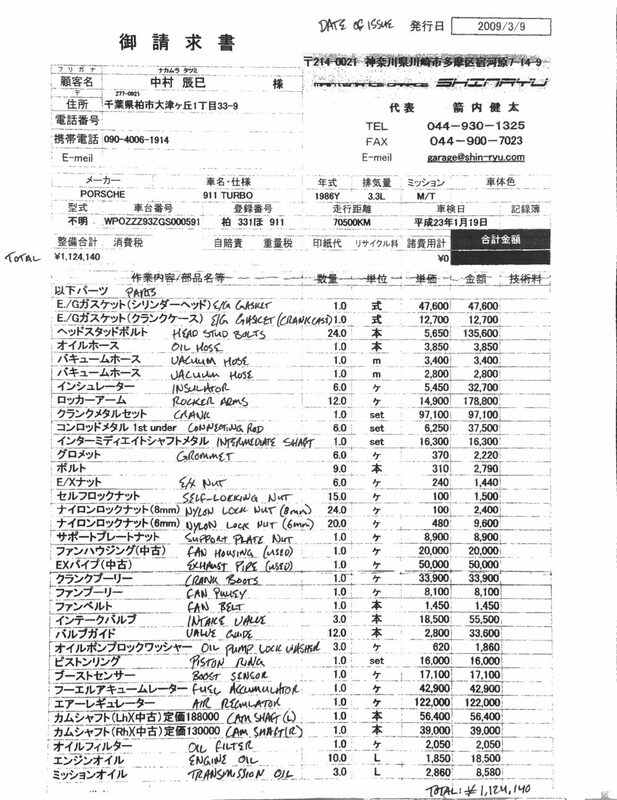 The car is for sale by Nate Vosburg of Houston, Texas, who sourced this example from Japan approximately two years ago.